The Black Doctoral Network Conference Committee is inviting abstract submissions for the 2019 conference themed “Fostering Change through Scholarship”. This year’s conference addresses the role of change, i. e., social justice and/or activism through scholarship. “Fostering Change through Scholarship” encourages attendees to consider how we can create change across social domains (individual, family, peers, school and neighborhood/community levels) in society via scholarship and to assess the variations of academic knowledge. The theme of the annual meeting asks: How does our work in public and private spaces impact scholarship and the lives of vulnerable populations? How are scholars of color flourishing in marginal spaces and fostering the flourishing of others through activism scholarship? We invite broad engagement between activists, scholar-practitioners and academics that address the conference theme. Papers that will reflect on this theme are especially encouraged, but we accept submissions on any topic. The Conference will be an interdisciplinary event that brings together academics and professionals from the social sciences, STEM, and humanities to address how we can positively impact and inform each other’s work and engage with our communities. Submission of abstracts from graduate and doctoral students, recent Ph.D. graduates and academic professionals across disciplines are welcome. Submission Deadline: Sunday, March 17, 2019 at 11:59PM EST. We accept abstracts from (1) individuals who wish to present on a panel and from (2) groups who want to create their own panel. Abstracts should be no more than 300 words typed, double spaced, using a 12pt font. Submissions should be anonymous – please do not include your name or the name of your institution on the document. Include the title of your abstract and note whether it is an individual or a group submission. All group submissions require at least three presenters. Submitting author will receive a confirmation message upon submitting the abstract. Acceptance announcements will be sent via email in late April to the submitting author. Accepted presenters and co-presenters must register for the conference and confirm their acceptance by June 9, 2019. Failure to register and confirm acceptance by June 1st will result in rescinding acceptance. Your presentation should describe the purpose, methods and conclusions of your research. You may not submit or take part in more than one panel presentation; presenters may give one and only one paper at the conference. Individual presenters will be assigned to a panel and will have 15 minutes to deliver their presentations. Group presentations will be given 45-60 minutes to deliver their presentations. In addition to interdisciplinary panel presentations, this conference will have interactive roundtables. Professors and corporate professionals from various fields will converse and give insight on the need for interconnectedness throughout the academy and community. Workshops on handling job talks, grant writing and proposals, balancing relationships, and stress and time management will also be addressed. 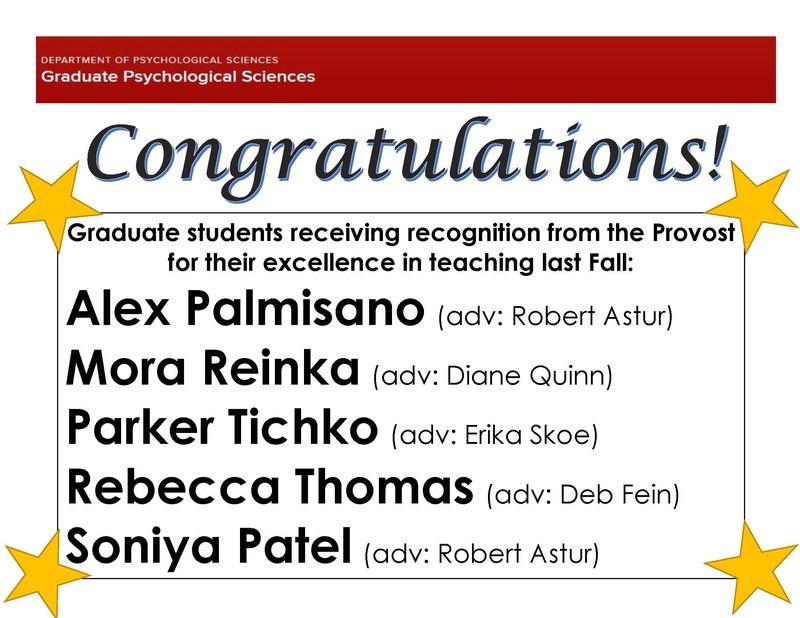 Graduate Student Teaching Excellence – Congratulations! We are pleased to announce the 2019 HCP Course: “Exploring the Human Connectome”, to be held July 8 – 12, 2019 at the University Place Hotel and Conference Center at Portland State University in Portland, Oregon, USA. The course is open to students, postdocs, faculty, non-profit and industry participants. The course is aimed at both new and current users of HCP data, methods, and tools, and will cover both basic and advanced topics. Prior experience in human neuroimaging or in computational analysis of brain networks is desirable, preferably including some familiarity with FSL and Freesurfer software. NEW SIGN-UP OPTIONS! You can now sign up for 2-, 3-, or 4-day boot camps! Maintaining momentum on your dissertation can be tough, but making a commitment to structured writing time can help. Writing in the presence of others can also bring a sense of solidarity and productivity that can get you through even the toughest projects. Participants will arrive with their writing projects on and their laptops, along with any notes or books. There will not be any tutoring or any lectures. The point is simply to make a commitment to sustained writing time and to generating pages. Space is limited and preference will be given to 4-day participants. To reserve your spot and to create an incentive for you to write, you must register through Eventbrite and submit a promissory note for $50. An electronic version of the promissory note is now available on the Writing Center website and should be signed and email to gradwriting@uconn.edu. Hard copies are also available at the Writing Center. If you do not attend the days you have committed to, the Bursar’s Office will charge you and we will use the funds for future retreats. Scheduled academic commitments do not count as absences. Contact Gali at gradwritinguconn@gmail.com with any questions. 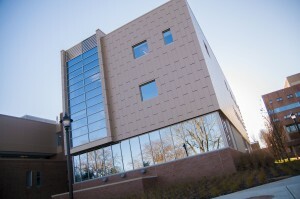 January 10-11, the Software Carpenters are offering a workshop on R and Git. Methods Resources: UConn is an institutional premium member of CARMA (Consortium for the Advancement of Research Methods and Analysis), which offers a variety of webcast lectures FREE OF CHARGE to CARMA members. Anyone with an @uconn.edu e-mail address can register on the CARMA website and access the CARMA library of webcasts (back to 2004), all available On Demand. Information about the 2018-2019 schedule of speakers/topics can be found here: CARMAmembership–info2018-2019. Contact Janet Barnes-Farrell (janet.barnes-farrell@uconn.edu) if you have questions. Having problems recruiting people on campus? Looking for kids, teenagers, older adults, or other hard-to-recruit populations? Consider recruiting in the Living Lab at the Connecticut Science Center in downtown Hartford. You’ll get a chance to recruit many participants across a wide variety of age groups for free! We even have a lot of the equipment for you. For more, please contact Chris Heffner, christopher.heffner@uconn.edu, for a consultation. Dates: All sections will be from 2017-09-11 to 2017-11-03.